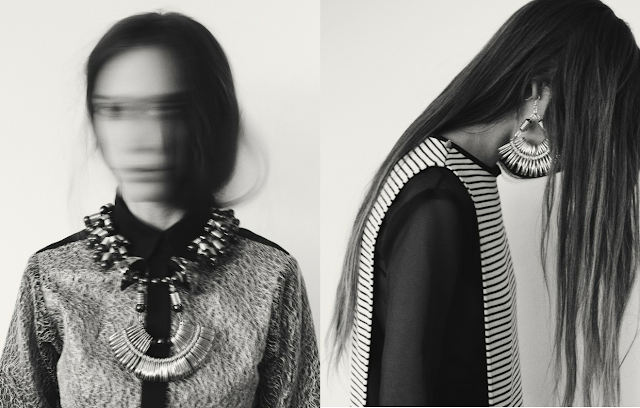 VFS jewellery designer Kirsty Ward has been interviewed by Twin Factory magazine. Twin visited Kirsty in her North London studio and quizzed her on her unique method of integrating everyday objects into her collections, her influences for the SS13 collections (which is "Tea ladies and tabards with a modern sci-fi edge" if you must know - Kirsty could never be described as the 'norm') and who she'd love to collaborate with in the future. "Spend a day with womenswear and jewellery designer, Kirsty Ward, and you’ll never look at an ordinary household object in the same way again". Read the full article here. Images taken from Twin Factory article.